Smart ways to save on shopping, home, travel and living well! Disclosure: This post contains affiliate links. Read full Disclosure Policy. Got some photos to print or photo gifts to make? 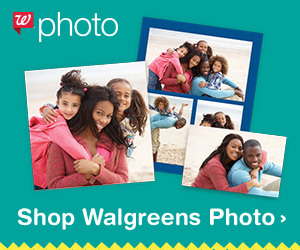 Walgreens has a great code available for large photo orders. Take $50 off photo orders of $100 or more with code SPRINGPIX50 ! This code is valid through April 27, 2019. I'm Jill Cataldo, founder of Super-Couponing® workshops and author of the nationally-syndicated newspaper column and video series "Super-Couponing Tips" enjoyed by over 20 million people each week. JillCataldo.com contains affiliate marketing links and promotional offers. Read full Disclosure Statement for details, blogger network affiliations and advertising/PR information. Copyright ©2008-2016 · Jill Cataldo and Super-Couponing, LLC and its licensors. All Rights Reserved.